Trials of new high sensitivity moisture transmitters measuring trace water content have demonstrated high precision and stability at the sub ppm levels finding use in applications such as gas drying, catalyst protection and semiconductor gases. Sampling at atmospheric pressure and capable of resolving down to 1 ppb with a dynamic range up to 30ppmV the high sensitivity heated silicon sensor technology has been shown to settle to a 95 per cent moisture change within just six minutes. Self-diagnostics and error trapping routines ensure trace moisture content is reported reliably against Mass traceable Standards. 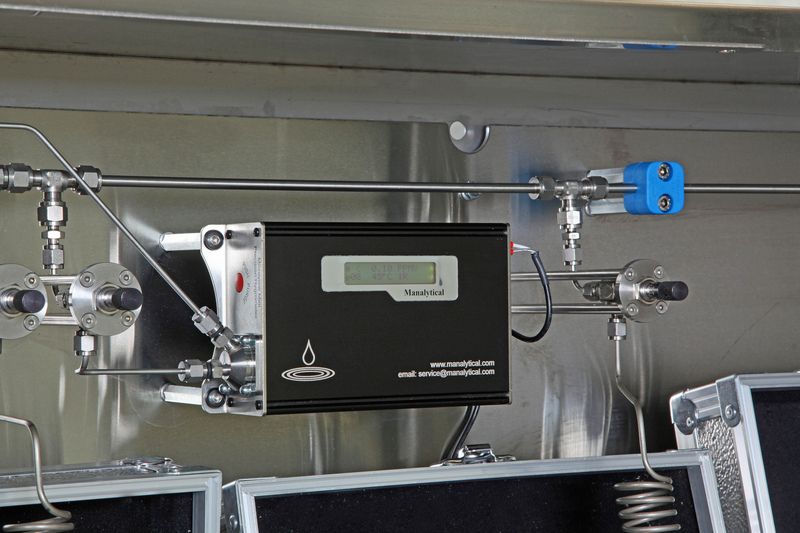 It does not require recalibration for different gas compositions. Zero and span correcting modules can also be added to periodically and automatically correct for the effects of contaminants to extend routine service intervals and maintain reliable results. Trials in Petrochemical Industry confirm commissioning is simpler whilst reduced training and support requirements have helped to keep operating cost down. Comparisons of 2 transmitters in series demonstrates the high precision between them as they are run up from dry to wet conditions between 1 ppb and 7500ppb with spread of results between them being just ppbs.